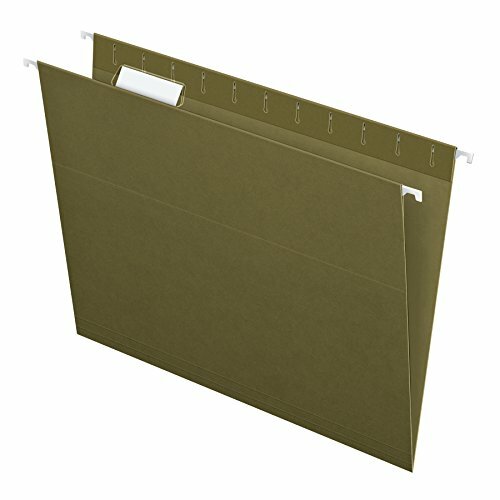 Pendaflex Extra Capacity Reinforced Hanging Folders expand to fit your largest, bulkiest files. A pressboard insert increases capacity 2" to hold up to 400 sheets per folder. Polylaminate strips across the top edge and bottom fold resist rips and tears. Includes a letter-sized, printer-ready label sheet and clear 1/5-cut tabs. Legal size, standard green. 25 Per box. 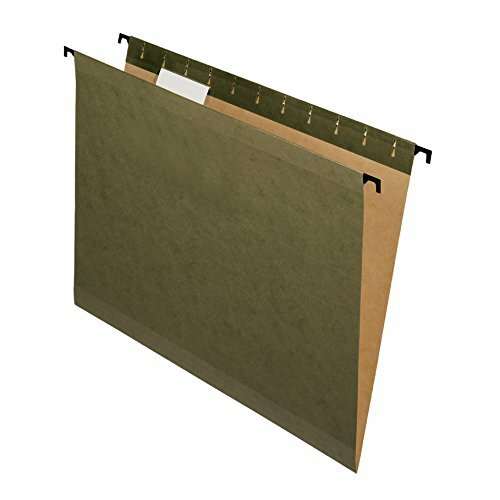 Pendaflex SureHook Extra Capacity Reinforced Hanging Folders feature longer plastic hooks with built-in tension springs that help keep files on track. The pressboard-reinforced insert allows them to expand 2" for up to 400 sheets. Durable 11 pt. covers won't buckle under pressure. Includes an 8.5" x 11" printer-ready label sheet and clear tabs for placement in 5 positions. Paper made from 10% recycled fiber with 10% post-consumer fiber. Letter size. Standard Green. 20 per box. Pendaflex Extra Capacity Reinforced Hanging Folders expand to fit your largest, bulkiest files. 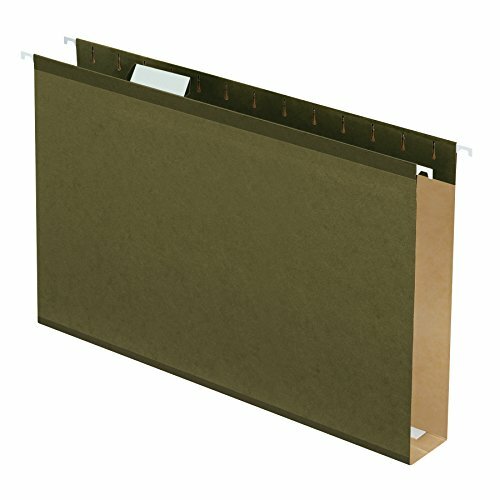 A pressboard insert increases capacity 2" to hold up to 400 sheets per folder. Polylaminate strips across top and bottom edges resist rips and tears. Each box includes a printer-ready label sheet and 25 clear 1/5-cut tabs. Letter size, standard green. 25 Per box. 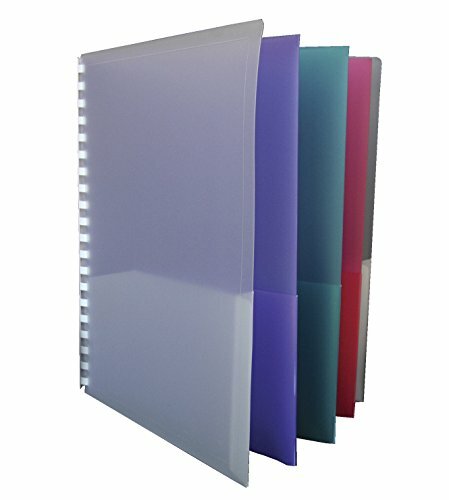 Pendaflex Ready-Tab Reinforced Hanging Folders feature 5 built-in tabs. Simply lift, label and file. 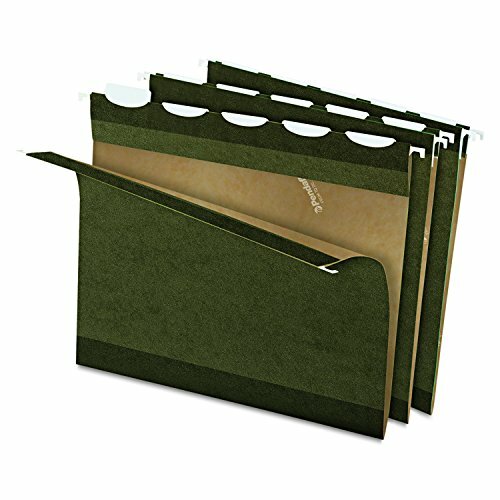 Folders are lighter in color on the inside to prevent misfiling. Reinforced top and bottom edges make these time savers extra durable. Includes a printer-ready sheet of adhesive labels. Letter size, standard green. 25 Per box. Pendaflex SureHook Reinforced Hanging Folders feature longer plastic hooks with built-in tension springs that prevent them from falling into file drawers. The durable 11 pt. covers won't buckle under pressure. Includes an 8.5" x 11" printer-ready label sheet and clear tabs for placement in 5 positions. Paper made from 10% recycled fiber with 10% post-consumer fiber. Letter size. Standard green. 20 per box. Esselte Pendaflex Ready-Tab Reinforced Hanging Folder featuring patented Lift Tab technology has built in tabs to easily lift up and down making file set up faster and easier than ever. 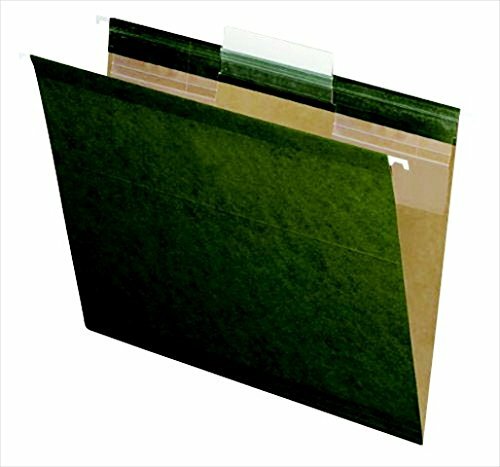 Letter size folder with polylaminated reinforced top and bottom for durability features 13 cut sturdier tabs while the tab position can be easily changed. Acid free folder containing 10 recycled fiber with 10 post consumer fiber lets you write directly on tabs or use included letter size sticker label sheet. Folder featuring dispenser box for quick one at a time access.Features. Color - Standard Green.. Cut Tabs - 13.. Material - Polylaminate.. Size - Letter.. 3 tab position.. Pack - 25. 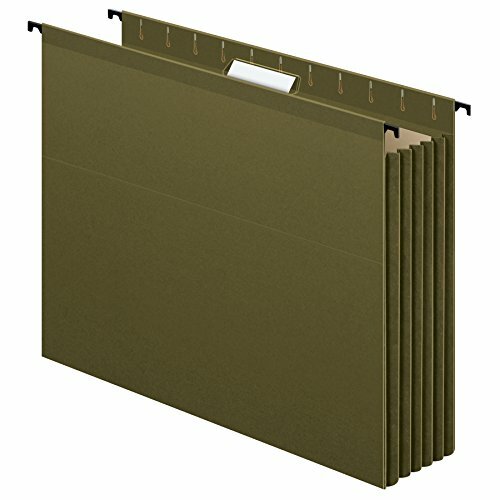 Pendaflex Premium Reinforced File Pockets with tear-resistant, 5.25" expanding sides hold up to 1,050 sheets and are built to outlast standard file pockets. A leather-look, moisture-resistant Redrope body has 5 points of Tyvek reinforcement to discourage tearing, fraying, and bursting, even when overstuffed. Letter size, brown. 5 Per box. Pendaflex SureHook Extra Capacity Hanging Pockets have super-strong rods with longer hooks and built-in tension springs to help big, bulky projects glide smoothly on the rails. Full-height, tear-resistant sides expand 3.5" to keep up to 700 sheets neatly contained. A reinforced insert helps support the extra weight and poly-reinforced strips along the sides and bottom resist tears and rips. Letter size, standard green. 4 Per pack. 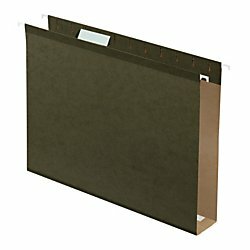 Looking for more Esselte Standard Folder similar ideas? Try to explore these searches: Softball Fence, Stainless Steel One Compartment Sink, and 16 Oz Tailgating Cups. Shopwion.com is the smartest way for comparison shopping: compare prices from most trusted leading online stores for best Esselte Standard Folder, North Face Women Arctic Parka, Tigi S Factor Smoothing Shampoo, Esselte Folder Standard . 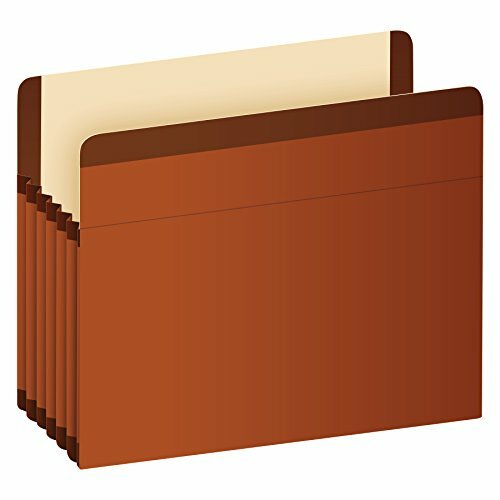 Don't miss this Esselte Standard Folder today, April 20, 2019 deals, updated daily.